There are some anxieties over the state of play at the proposed mega-constellation OneWeb and their fleet of LEO satellites. 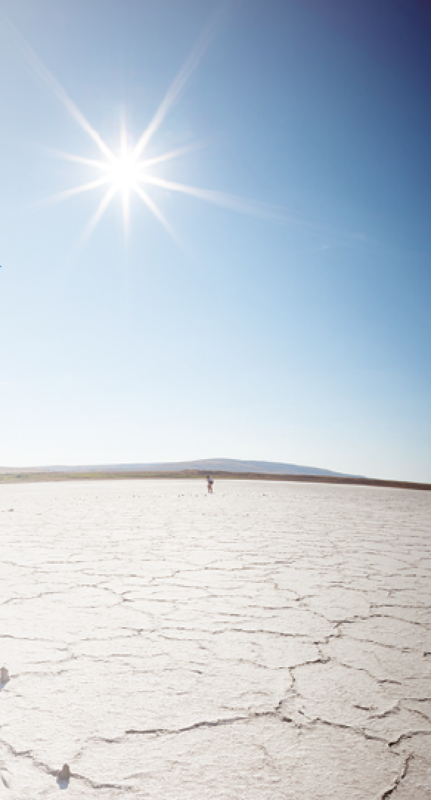 Analysts at Northern Sky Research (NSR) in a report headline asked, “Can OneWeb cross the Valley of Death?” That’s blunt, but OneWeb has given plenty of reasons not to be cheerful this past month or so. 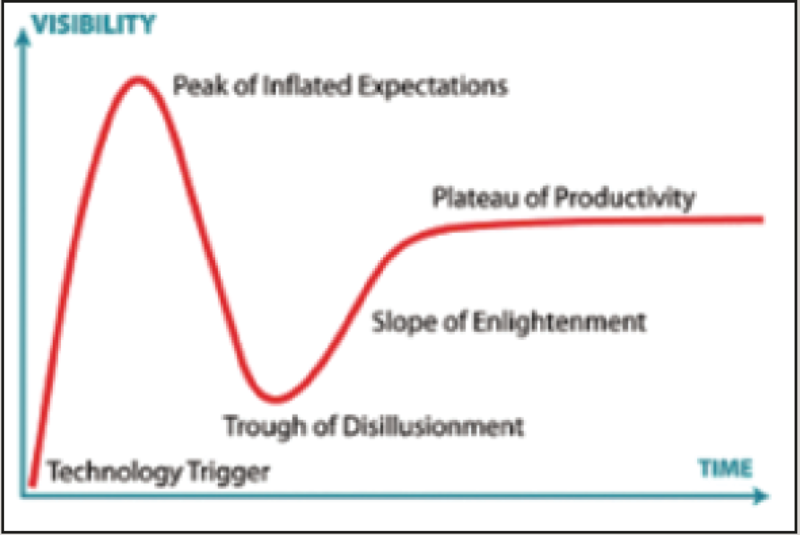 The ‘Valley of Death’ expression refers to a Forbes take (see Figure 1) on the famous Gartner hype-cycle illustration and its notorious “Trough of Disillusionment” and whether the industry is being altogether too pessimistic. The plan is challenging: Greg Wyler’s project aims to place some 900 satellites into LEO to supply the planet’s non-served or under-served broadband consumers with gallons of extra capacity. The downside news, much discussed on the sidelines at the Paris ‘World Satellite Business Week’ conference in September, focused on missed launch dates, much higher prices for each LEO satellite, a new CEO appointed and the existing CEO moved sideways (who then resigned), and various funding risks and generally negative comments that add up to the $64,000 question whether or not the world really needs all this upcoming Ka-band capacity. NSR forecasts that the world will see a huge number of these new, smaller satellites adding a net 25 Terabytes/second of additional capacity over the next ten years. In a world where 50 or 100 Gb/s of Ethernet traffic is considered fast enough, terabyte speeds are truly electric given their 1000 x 1 Gb/s capacity. NSR, in their report issued on September 18, stated that these non-Geo satellites will also be generating annual revenues of $4 billion by 2027. As readers will have noted over the past few weeks with rumors of OneWeb’s current challenges, NSR says the “moment of truth” is approaching for these new constellations. “According to their schedule, LEOs need to start offering concrete examples of progress, but results are still mixed,” noted Lluc Palerm, NSR Senior Analyst and report author. “Funding is still far from resolved and even the ones that have already attracted billions in investment still do not have a clear path to service. Delays and cost overruns plague many programs. Regulatory challenges are coming to light with first denials of access to key markets. Technology wise, there are still many questions to answer, beginning with user terminals. On the other side, progress continues in the form of testing satellites, new rounds of funding and establishment of baseband networks. “Technology development has consumed most of the attention in the early stages of NGSO development. 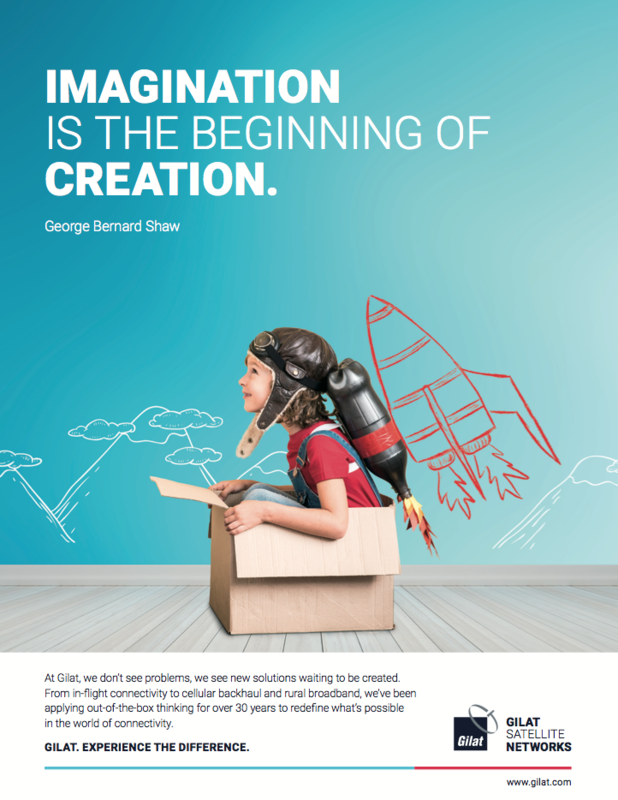 However, as we approach entrance into service, actors must shift their attention to commercialization. Constellations that can build a stronger position in key markets, both regionally and vertically speaking, will have higher chances of success. Partnerships between traditional GEO actors and new constellations are also proliferating. 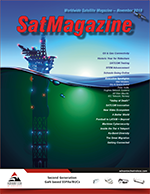 This creates a symbiotic relationship where GEOs can access new markets developed by NGSOs, while the new actors can leverage the long-standing customer heritage and sales channels of established operators,” said NSR. 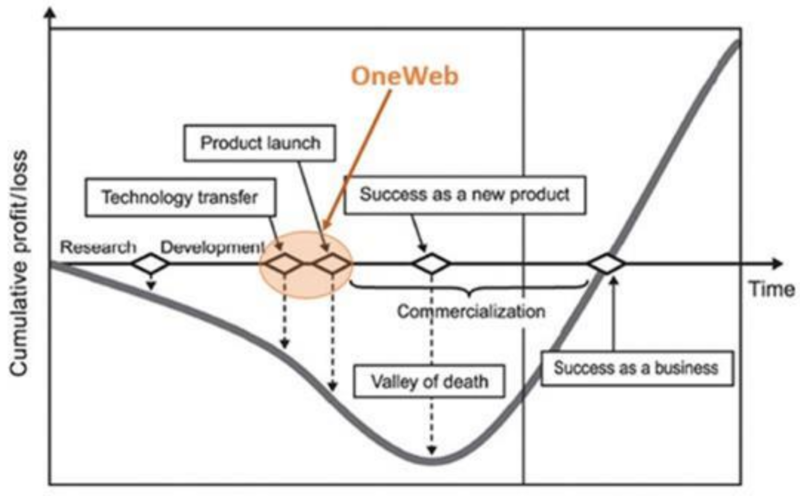 However, NSR in its slightly later September 20th ‘Valley of Death’ report examined these risks more closely and said that, in many ways, the future trends of the industry — directly or indirectly — depends on the success of OneWeb as that firm sets out to open new doors, raising confidence among investors in similar new ventures. Among other players in this domain (past and present), OneWeb has accomplished a significant feat by raising the most funding — $1.7 billion —offering the company a tremendous benefit over other, similar LEO constellations. However, despite this notable monetary amount, the question remains — is it enough to support and sustain this mega constellation, or is it just buzz and hype? Let’s be clear: OneWeb is, in theory, extremely well backed. The company has the might of Japanese media conglomerate SoftBank’s wealthy ‘Vision Fund’ as a major investor and is also financially supported by the likes of Airbus, Intelsat, Virgin, CocaCola and India’s Bharti. Nevertheless, there are skeptics. Initial concerns are the delays encountered with the first batch of 10 satellites that are under construction by Airbus at that company’s Toulouse facility. These satellites are already late by many months and will not now launch much before February of 2019, although OneWeb officials at September’s World Satellite Business Week in Paris reportedly said they are not overly worried by the delay. This test-batch of 10 satellites were also hoped to prove the ‘production line’ capability of eventually building up to 900 satellites and at a target price of about $500,000 per craft. There are now suggestions that the price could be as high as $900,000 per unit. In the absence of hard news from OneWeb regarding this pricing, the rumors will — no doubt — see the price per satellite rise. There is also uncertainty over OneWeb’s initial funding, which specialist trade publication Space Intel Report states has been variously quoted at $1.2 billion, or $1.7 billion, or more than $2 billion. This round of cash is much less than the amount required to build and launch the fleet of satellites, which the company has variously said would need a total of some $3.5 to $6 billion — not including the costs of getting the business established with consumers. This has led to questions over how that funding — whatever the amount — is flowing into the business and the importance of the banks and lending institutions. This has provoked additional questions, not least of which is over the role of the French export credit agency (Bpifrance) which is said to want to see more customer commitments before they cough up their cash. Much of the funding is earmarked for the construction of OneWeb’s j-v satellite facility (with Airbus) near Cape Canaveral in Florida where two side-by-side production lines are being built to start production of some 900 satellites needed for the constellation. There’s talk now of how many rival satellite constellations might actually be needed. One suggestion (also in Space Intel Report) is that revisions are possible — instead of OneWeb’s all-Ka-band proposal, the company might pair with Canada’s Telesat, a company that also has their eyes on a super-constellation of 292 craft. OneWeb could, conceivably, combine Telesat’s Ku-band with its own Ka-band aims onto a single satellite and thereby slash build and launch costs, or simply merge the schemes. Russia’s Baikonur launch facility also let it be known that they are making significant improvements to their ground handling of the LEO satellite they are contracted to launch. Russian news agency Sputnik reports that floors in the main assembly hall and testing facility are being replaced in order to limit dust and improve air quality. The facility’s ventilation system and electricity are being examined by the specialists, according to the source. The report also confirms that OneWeb’s Baikonur launches will only occur “six months after a qualification launch” of the first of OneWeb’s satellites — expected from French Guiana in mid-February 2019. To put it bluntly, NSR is also skeptical of the funding that is said to be required for operations. NSR initially estimated a total CAPEX of over $5 billion for OneWeb — which is $2 billion over the originally expected total CAPEX of around $3 billion. “Considering this CAPEX value, a total available funding amount of $1.7bn to date and a valuation of capacity as well as service revenue streams from various applications, NSR estimates a negative ROI over the next 10 years, which is attenuated further with the recently announced (and later retracted) confusing news of a $6 billion associated CAPEX. This analysis, for both cases, also assumes additional financing – enough to keep the cash flow positive during the forecasted time-period – at a 5 percent annual interest rate. Senior Contributor Chris Forrester is a well-known broadcast journalist and industry consultant. He reports on all aspects of broadcasting with special emphasis on content, the business of television and emerging applications. He founded Rapid TV News and has edited Interspace and its successor, Inside Satellite TV, since 1996.